Visit Artspace Wonthaggi to discover more about the artists of Bass Coast. Email event details to basscoastpost@gmail.com. December 17, 2016 - Ventnor artist Josephine Allen’s new exhibition features works inspired by landscapes, allegorical stories and travel sketches. December 17, 2016 - Liane Arno meets Deb Watson, a human resources manager who fell in love with glass. Sandra Peeters’ recent exhibition began with exercises in a life drawing class. DRAWING the human form using a live model continues to be an important practice for all artists, regardless of their style or medium. Sandra Peeters, who moved to Phillip Island from Tasmania five years ago, is the co-ordinator of the Artists’ Society of Phillip Island bi-monthly life drawing sessions. Her recent exhibition Up, Down, Inside Out at the Stephen McLaughlan Gallery in Melbourne utilised some of her own drawings from these sessions. 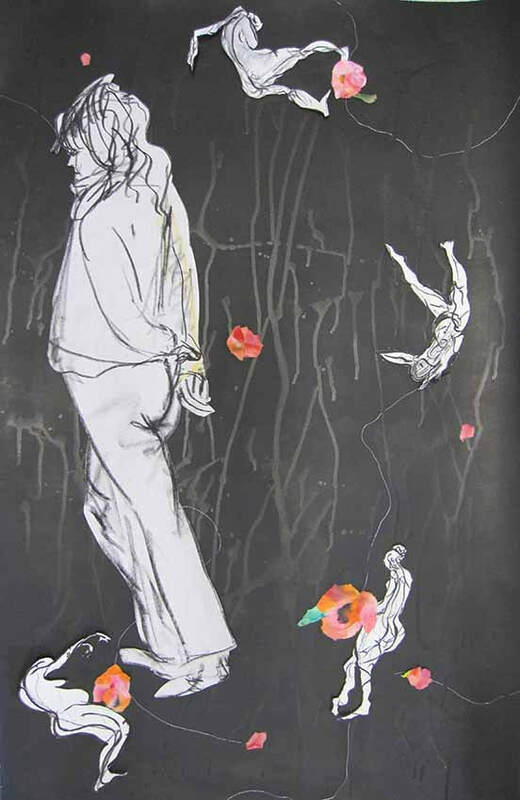 Sandra explains her current art practice as a mixture of abstract and figurative painting, drawing and collage which has developed and progressed over the past 15 years or so. “I tend to be interested in both the gravity and humour of everyday life, and the complex ways in which people go about it, how they think about themselves and how they relate to each other. She aims to produce a unique work of art that will communicate with “someone, somewhere in some way”. During the past five years, she has enjoyed participating in the bi-monthly life drawing sessions as well as attending fortnightly life drawing classes in Melbourne. As time went on, she found she had quite a collection of figure drawings, large and small, some of which particularly appealed to her for one reason or another. She put these away for possible future use without having any firm ideas in mind. Towards the end of last year she started playing with the images she had cut out, and experimenting with inks to create vibrantly coloured, randomly patterned sheets of paper. Considering how she could combine these two things, she began tearing up the coloured sheets and placing them this way and that in combination with selected life drawings until, together, they formed a satisfying and often surprising, arrangement. 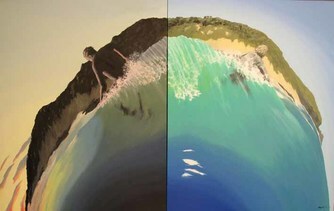 Sandra Peeters is represented by Mingara Gallery in Cowes. The result was her recent exhibition titled “Up, Down, Inside out”. Images from the exhibition can also be seen on her and her partner and fellow artist, Warren Nichols’ website: www.wazandraart.com. November 5, 2016 - Inspired by tribal art, Heather Towns’ art is “a conversation between shapes and perspective”. Liane Arno meets an artist who admits her work is not for everyone. It takes many people to make a community event work. KernART is organised by a group of dedicated Kernot locals who value the importance of giving something back to the community. They include Adam McLeod, Janice Orchard, Rob Parsons, Julie Johnston, Mandy Taylor and Paul Johnston. 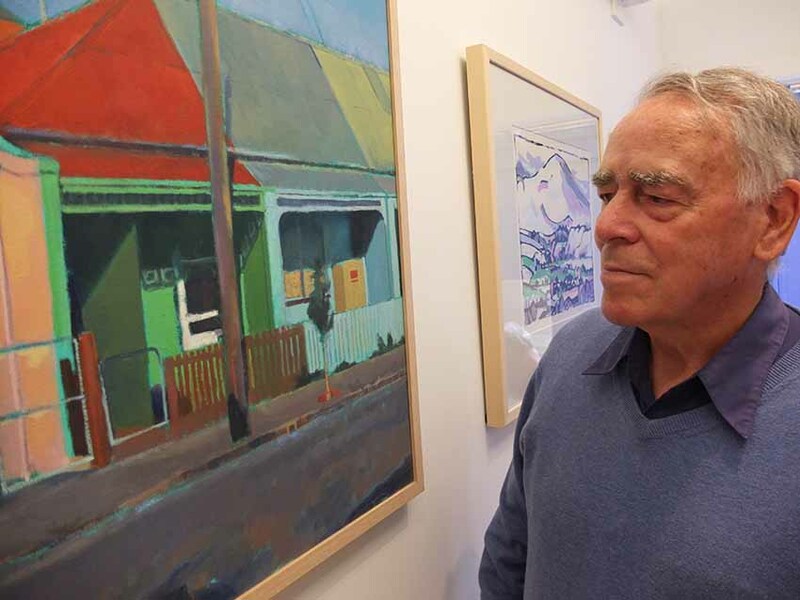 A NEW art prize has been started by a group of Kernot local artists and self-declared art tragics – that is, lovers of art who have no artistic abilities. Melbourne Cup Weekend will see the launch of KernART, the greatest prize in town. It follows in the strong tradition of other local art prizes and shows with profits going to ‘Look over the Farm Gate” an initiative of the Bass Coast branch of the Victorian Farmers Federation, which seeks to raise the profile of mental health and increase awareness that support and treatment are available, no matter where you live. Art can be a great conduit to the positive mental health of the community. By involving as many people as possible, the group hopes to kick-start a great local event, to raise much-needed funds and to bring the local community together. Through its community sponsors, KernART has secured a range of prizes, including the $1000 ‘KernART Prize’ sponsored by the Gippsland Primary Health Network. Enrties will be exhibeted at the Kernot Community Hall, 1060 Loch-Kernot Rd, Kernot over the Melbourne Cup weekend. The grand opening is next Friday from 7-9pm, with prizes to be awarded at 8pm. Entry is free for entered artists and $20 for others, including food and drink. The inaugural judge is renowned local artist John Mutsaers, who this year celebrates 30 years as a professional painter and sculptor. The prize will be open to the public on Saturday and Sunday between 10am and 3pm. Janice Orchard is secretary of the KernART prize. I LOVE art, I love artists (I married one) and I never feel guilty buying art even when I’m almost broke. 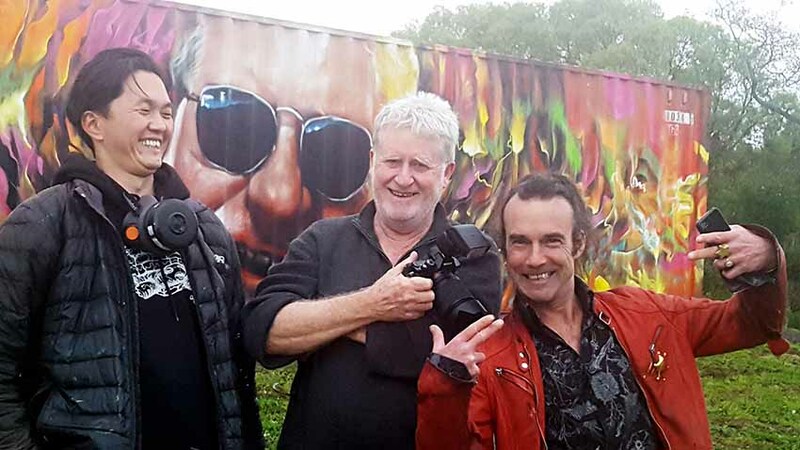 Wayne and I have lived a fabulous life thus far, making films, travelling the world and recently creating an Internationally Recognised Street Arts Precinct ‘Artists Lane’ in Windsor, Melbourne. But I think the best is yet to come. So here we are. We’ve finally made the tree change to our stunning 10 acres in Blackwood Forest, ready for our third and final act, and already we’re embarking on another adventure: Chaotica. Where the city meets the country. That’s how we like to put it. We have had our little farm for 20 years but have moved here permanently after Wayne needed open heart surgery. We’re still making films, Wayne’s into his painting and I’m loving this beautiful chaotic life. We haven’t missed the city for a second and look forward to the next leg of our journey and hope in our own crazy way to add value to all around us. Michael Scott has been artist in residence here on our farm for the past two months. I have been privileged to host two hugely successful exhibitions of Michael’s work at Chaotic Gallery, the first gallery we owned in Windsor. He’s the real deal. 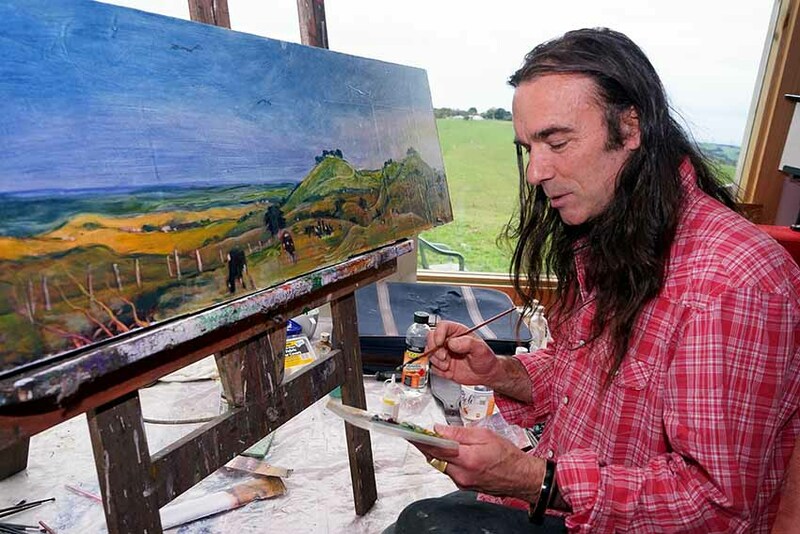 Michael has drawn inspiration from the spectacular views out of his studio window and from the surrounding coast and also from his vast internal landscape. Those works will be exhibited next Sunday afternoon, October 16. 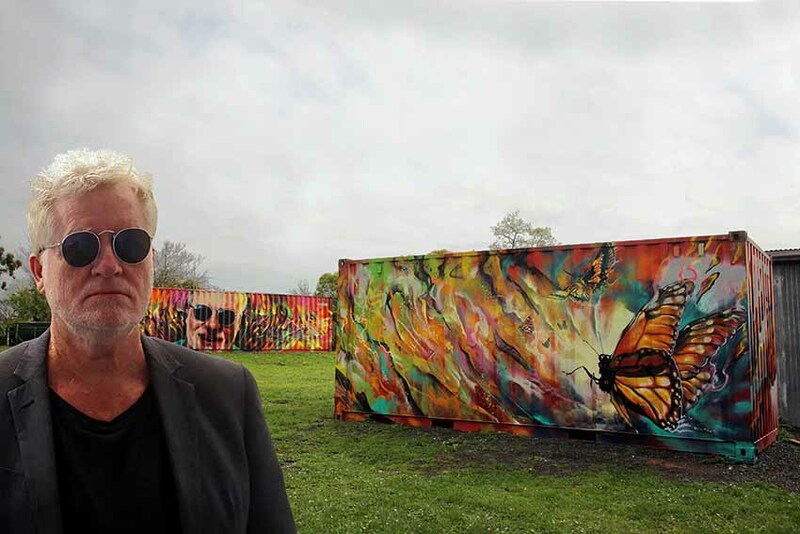 Another reason to come is to see the shipping containers on our land that renowned Melbourne street artist Heesco Khosnaran has painted. There will also be local wine, cheeses and live music, so make an afternoon of it. 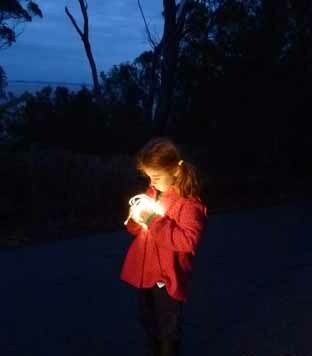 Residents of the Waterline communities will be invited to join in the Luminous Streets project. ​THE Edge Of Us project is nearing the end of its planning phase, and soon to launch into the Waterline communities of Corinella, Coronet Bay, Grantville, Tenby Point and Pioneer Bay. This 18-month community arts project will use light, renewable energy and tides as mediums for sculptures and performances in public spaces, foreshores, front yards and tinnies. The project is a response to the search for connection between the Waterline townships and seeks to involve the entire community in its making. The creative team is seeking two artists in residence for the first stage of the project, Luminous Streets, which will involve a three-month process of constructing light-based sculptures and installations out of reclaimed plastics and other materials. This will lead to an outdoor light gallery event in parks around the Waterline towns. Construction workshops will take place in the primary school, with existing groups and in the open air in each of the five towns. The light galleries will be launched with a simultaneous “light-up” with community and visitor audiences traveling between the towns by private car or free mini bus to enjoy the quiet splendour of each different town’s offering. Each central gallery location will extend into neighbouring streets. Residents across each town will be encouraged to join in with lights of any form in their own front yards during the “light-up” period of one week following the main event evening. Four artists will be resident across five towns for the Luminous Streets project. Responsibilities include designing and leading workshops with children and community groups, creating and constructing light-based installations, curating a Luminous Streets gallery in one town and encouraging community participation. The Edge of Us is a project of Small Town Transformations, a Victorian Government Initiative managed by Regional Arts Victoria. September 10, 2016 - A challenging career in social work helped Karen Sandon find her own path in art. 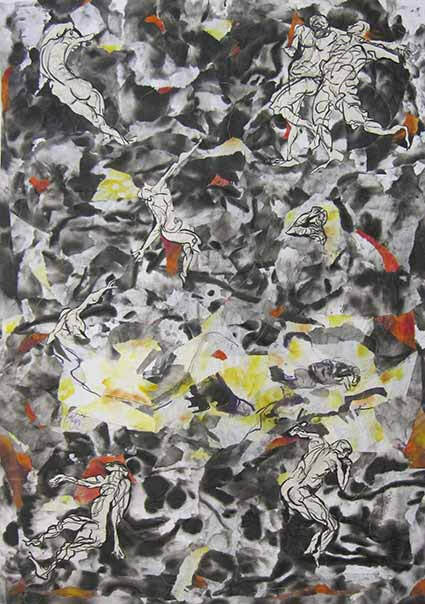 Liane Arno follows the master printmaker’s journey. URSULA Theinert’s piece ‘Windy Day’ was judged the winner of the 2016 Your Art Collection Award at the exhibition opening on Friday night. The painting will now join Council’s permanent art collection. Judges Penny Teale, Deb Milligan and Laurie Collins, announced the winner at the opening of Your Art Collection exhibition at the Corinella and District Community Centre. Ursula Theinert's Windy Day will join the shire's permanent art collection. WORKS by three award-winning artists will be on display at the Corinella and District Community Centre as part of the 2016 Your Art Collection exhibition running from September 3-11. Having won Your Art Collection awards throughout the year at various art shows, Diana Edwards, Ursula Theinert and Adrian Johnson will exhibit four works each in the exhibition, with one piece to be chosen to join Bass Coast Shire Council’s art collection. Ms Edwards won two awards this year, from the Inverloch Art Show and the Corinella and District Community Centre Traditional Art Show, and has been painting and drawing for more than 40 years, regularly conducting workshops. 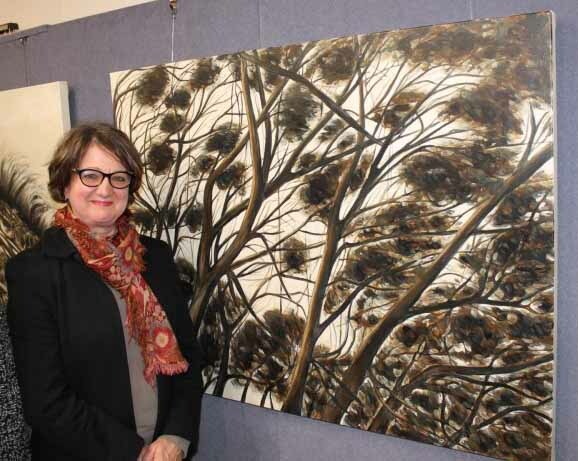 Ms Theinert won her award at the Artist’s Society of Phillip Island Cup Weekend Exhibition. She has been exhibiting since 2004, with several portraits selected for the Hidden Faces of the Archibald. The Your Art Collection exhibition runs from September 3-11. It's open on weekdays from 10am-4pm and on weekends from 10am-3pm. Mr Johnson won his award at the Bass Coast Artist’s Society Easter Exhibition. 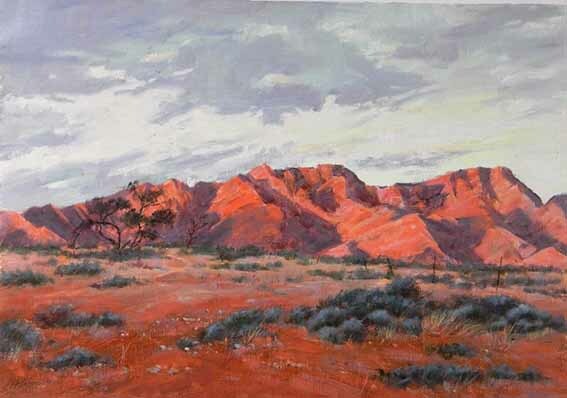 He began his painting journey in the early 1980s and has won many awards over the years. This year’s judges, Penny Teale, senior curator at the McClelland Sculpture Park and Gallery, Deb Milligan, creative arts facilitator for Regional Arts Victoria, and Laurie Collins, a sculptor and owner of the Red Tree Gallery in Jindivick, will select the winning piece to be announced at the opening of the exhibition on Friday, 2 September. Ursula’s Windy Day gets my vote. Another issue to relish - many thanks! THE Waterline arts project Edge of Us is calling artists with sculptural and other visual arts practices to take part in an experiment with materials and light. Working on the first project in the Edge of Us - Luminous Streets - we are experimenting with forms to create an accessible and exciting palate to offer to residents, children and community groups. Artists will participate in a collaborative process and then be asked to experiment in their own studios with chosen materials and light. The draft ideas will stimulate conversation and feed into the concept development process. A number of artists will be invited to join the team to realise Luminous Streets in April 1018, a series of evenings where the towns of Pioneer Bay, Grantville, Tenby Point, Corinella and Coronet Bay share their lit-up yard and public spaces in a democratic art action. Artist information sessions will be held at the Corinella Community Centre on Wednesday August 31 at 10am and 5.30pm. Inquiries: Jessica on 0403 624 231 or Jeannie on 0421 121 505. Edge of Us is calling artists with sculptural and other visual arts practices to take part in an experiment with materials and light. August 13, 2016 - Liane Arno meets Leigh Rowles, a former ballerina, choreographer, actor and now abstract artist who revels in the beauty of life in its many guises. LOCAL artist Ursula Theinert is among the artists featuring in Hidden Faces, a Melbourne exhibition featuring works entered in some of the country’s national portrait prizes. 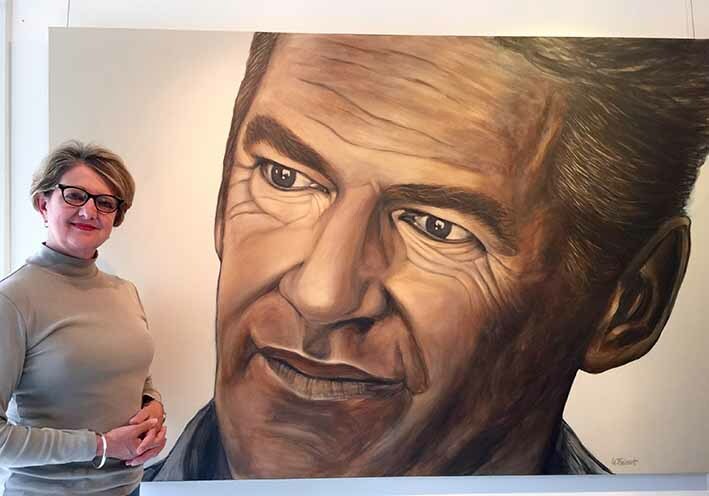 Ursula has two works included: a portrait of former independent federal MP Rob Oakeshott she entered in this year’s Archibald prize, and a portrait of Lenore Taylor she entered in last year’s Dpoug Moran portrait prize. Although she didn’t make the shortlist, she says she’s delighted to have the work selected for exhibition in Happy Faces, otherwise known as the 2016 Victorian Salon des Refusés Exhibition. Hidden Faces - The 2016 Victorian Salon des Refusés Exhibition is in the lobby of the Hilton Melbourne, South Wharf, 2 Convention Centre Place, until October 6. Entry is free. It’s worth noting that the inaugural Salon des Refusés, held in 1863 by command of Napoleon III, included works by Edmund Manet, Camille Pissarro and Paul Cezanne, who of course went on to become much more celebrated than their contemporaries. THE sea is coming to Wonthaggi Library, in a tsunami of artwork that will fill Wonthaggi’s number one community space with colour. The brainchild of local artist, musician and educator Tom Murray-White, By the Sea will be an art installation with a difference, when local schools, families and artists come together to turn the library into a blaze of colour. “We want everyone to produce at least one piece of art,” said Tom. “It can be anything to do with the sea, from a ship to a wave, a fish … or whatever. Wonthaggi Library goers will remember last November’s amazing Butterfly Effect, when more than 1500 pieces of butterfly themed art covered the inside of the library for two amazing weeks. This time Tom wants to go one better. Tom and the Library are contacting local schools and other organisations about the project, but everyone is invited to join in, whether they are eight or 80. As he says, “The art is the thing. The launch day for the project is Thursday, September 1, when there will be special stories, music, competitions and more, from noon onwards. This library is ready to receive the expected flood of art, without which it can’t work. July 16, 2016 - Liane Arno meets Mandy Gunn, who takes the slow boat to travel and the slow method to produce her fine and unexpected art. Capturing the essence of a person is the challenge of portaiture, writes perennial Archibald Prize hopeful Ursula Theinert. ‘Rob Oakeshott’ by Ursula Theinert. I’VE been entering The Archibald Prize since art college days, starting as an art practice exercise in 2005. I haven’t been successful in getting into The Archibald but have gotten into the Victorian Salon des Refuses or the Hidden Faces of The Archibald each year. I’ve had the pleasure of meeting some very interesting, talented and inspirational people, including Giles Parkinson and Lenore Taylor. It’s fun and exciting meeting them and getting to know them at their sittings and by corresponding to them and often coming together again at the openings of The Hidden Faces of The Archibald exhibitions. This year I painted Rob Oakeshott, the former Independent MP for Lyne in New South Wales. Rob was only 40 when he, along with Tony Windsor, made a brave choice and backed Julia Gillard’s Government. Rob was and is an idealist, a devoted family man who believed in the proposed emissions trading scheme and the NBN, and secured a $75 million extension to the regional hospital. Rob the outsider was motivated by policies and had the courage to stand up for what he believed in. After I read Rob’s candid memoir The Independent Member for Lyne, I was compelled to try to capture this man of principal. At the delightful sitting at his home with walls filled with children’s paintings and toys strewn round about, I asked what he was doing after the turbulent 43rd parliament. Rob said he initially was a house husband and now works part time for the UN He is a lawyer but has decided to go back to university this year and do a medical post grad to become a doctor. We discussed his time as a politician, and I wondered how different his life might be if he had chosen Tony Abbott. His expressive blue eyes often seemed to look into the distant past as he pondered my questions, as I sketched. Rob responded that even in hindsight he had made the right decision. His old school principal would be proud of Rob remembering his words “you’ve got to stand up for what you believe in regardless of the consequences”. I have simplified my colour palette to emphasise the meditative tone of my portrait. 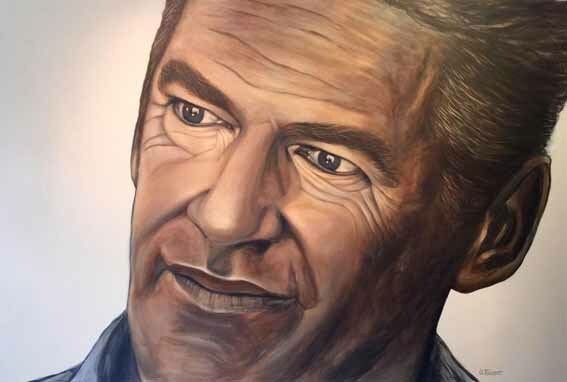 The painting focuses on the pensive, knowing eyes as I tried to capture the insightful reflection of the honourable and independent Rob Oakeshott. I’ve have had some very high moments with Alan Kohler opening the Hidden Faces of The Archibald in 2011 at the Hilton Melbourne South Wharf. My portrait of Deborah Forster, the wonderful author of ‘The Book of Emmett’, was a finalist in the prestigious Portia Geach Exhibition in S.H. Irving Gallery in Sydney and my portrait of Gerrie Chriistie, who was the CEO of the Royal Flying Doctor Service in Victoria for many years, was a semi-finalist in the Doug Moran Portrait Prize. It’s also given me an increased discipline in my art practice and mark making as painting a portrait brings different problem solving skills from landscape painting. I have definitely been enriched and my artistic skills improved by my portrait painting. Indeed, attempting to capture the “essence” of the sitter is a challenge. It’s a great thrill when the sitter and their family at the “unveiling” feels that I have captured them. Of course this prestigious portrait prize has about 1000 artists entering with only about 40 finalists chosen. The odds aren’t great, but ... maybe 2016 will be the year my portrait of Rob Oakeshott will get into The Archibald Prize! Visit www.ursulatheinert.com.au to view more of Ursula Theinert’s Archibald Prize portraits. Three artists. Two days. One BIG canvas. ARTISTS are usually locked away in their studios, working on their own until the final polished piece is exhibited. As part of the Creative Gippsland festival, three local artists have devised an unusual project to show the magic and mystery of the creative process. Bec Vandyk, Russell Lilford and Sue Acheson will collaborate in painting an extremely large canvas in public. Visitors can watch as the painting develops. The artists hope viewers will visit more than once to see how the work has progressed, as an interconnection with the creative process. The theme of Toomanywords is a reflection on the words spoken in this world with either no intention of action, or with an alternative meaning. The artists want to counteract this by showing action without words to create something positive. The process is designed to be meaningful and open, with every action open to criticism and judgement. By masking their identity in hooded garments, they intend their actions to speak volumes without personal acclaim. By collaborating with others, the artists have no ownership of the outcome. They will be working and re-working each other’s marks, so the final painting is unknown even by those creating it. They hope the creative energy produced by the experience will help to inspire and encourage both artists and non-artists to explore the limits of their own creativity, especially those in rural and regional areas. The performance of #toomanywords can be followed on Facebook and Instagram, and a full description of the project can be viewed on the Australian Cultural Fund website, where they are crowdfunding to fund the costs of the event. The event will take place in the Clifford Room, West Gippsland Arts Centre, Warragul on Friday, May 20, and Saturday, May 21. 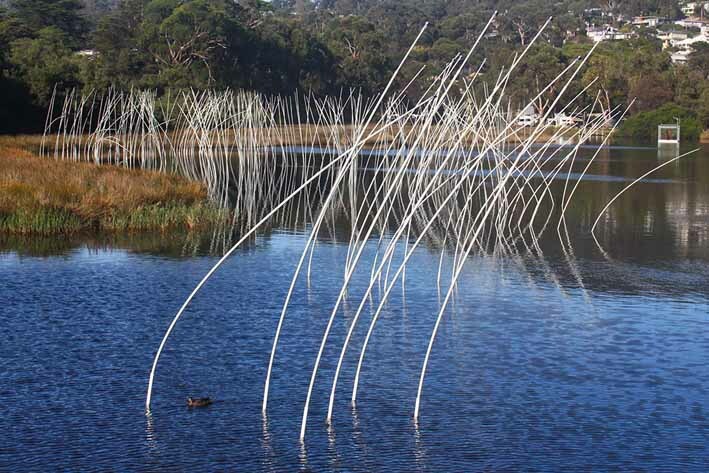 A visit to the Lorne Sculpture Biennale convinced Jordan Crugnale that were lessons for Bass Coast. LAST weekends, with kids in tow and a sleepover arranged for our rescue dog Sid, our big, old, yellow Volvo station wagon suitably called ‘Big Bird’ traversed the state at a steady 80km/h en route to the Lorne Sculpture Biennale. The biennale, which began back in 2007, had 38 major works curatorially scattered along the foreshore’s granitic path, hugging the equally stunning coastline where you could touch, climb, read, open, look into and even just look at the artworks. The kinetic reeds in the river that lit up at night were sublime and beautifully provocative and so well resolved and in tune with the environment. Aaron Robinson took out one of the five awards with his work Transflective Lawn. A further 70 smaller works and marchettes were displayed inside various halls, churches, pubs and cafés. The myriad of ancillary programs, including events for children, workshops, talks, performances and tours, meant there was something for everyone – local and visitor alike. Our walk ran us into people from all over the state. A poignant addition to the Biennale was the trail extending 17km west to Wye River as a support, connecting and healing gesture for the community who lost 116 houses in the Christmas fires. Japanese artist Shoso Shimbo’s Dynamic Tranquillity installations on the Wye River beach made from collected burnt items from a rubbish bin to a metal sink, in a spiral that you could walk into and around, and the other being an arch made of many charred lengths of wood which was transformed into an ikebana work was beyond language and within emotive. The curator informed me that visitor clicks hit about 60,000 in three weeks. 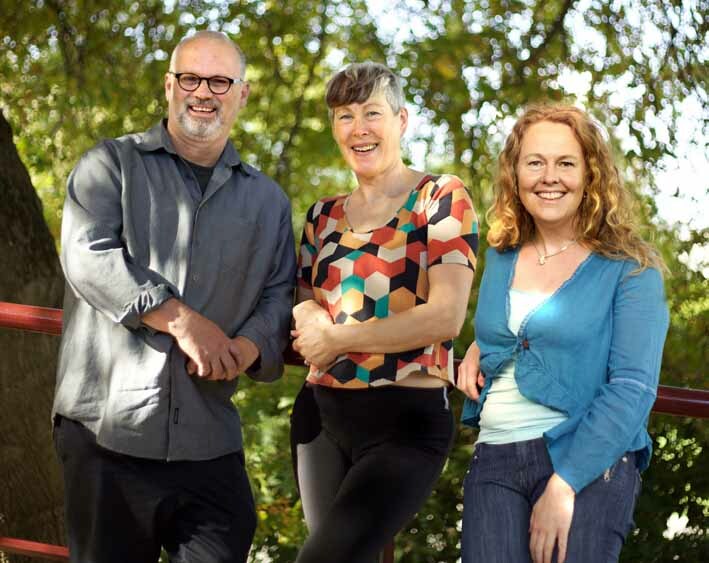 Like the local Lyrebird Arts Council running a superb musician program out of the Meeniyan Town Hall, the Lorne Committee is also a passionate small group of hardworking, visionary and productive people getting on with doing something positive for and in their community. Cultural tourists spend twice as much as other tourists – and we certainly played our part in injecting our fair share into the local economy still struggling from fire aftermath. Interesting diversification of product, events and experiences was one the key items discussed at the tourism round table during last week’s ministerial visit to Wonthaggi. More Australians go to museums and art galleries every year than football and cricket matches combined, and more children play a musical instrument than soccer. We have an outdoor sculpture biennale proposal here in the Bass Coast that needs an active, committed, creative and enlightened committee to get it off the ground. Read the Lorne Sculpture Prize website as a case example and give me a call if you’re interested. Cr Crugnale is Mayor of Bass Coast with a special interest in the arts. April 9, 2016 - Liane Arno meets a Wonthaggi woodworker who finds hidden treasures in other people’s rubbish. March 5, 2016 - Sue Acheson revels in the mystery of the kiln, where what emerges depends on the flow of the fire and the fall of the ash. Liane Arno reports. Phil Henshall’s “Wave Players at St Andrews, Left Hand Right Hand”. PART-time Kilcunda artist Phil Henshall’s love of the coast and his passion for bodysurfing are to the fore in an exhibition of his recent works at Quadrant Gallery in Hawthorn. “I'm expressing the collision between ocean and land and explore waves in a more intense way,” Henshall says of his new series. A coastal dweller all his life, with “weekenders” at Mt Martha, Merricks Beach, and currently near Kilcunda, Henshall enjoys bodysurfing, while his children have become “wave players” to different degrees. “Waves and swells become dumpers, left-handers, right-handers, sprays, scary and dangerous, benign and smooth depending on what they come up against—beaches, sandbanks, rocks, and so forth. Henshall’s paintings are distinguished by the artist’s own distinctive style, Aspectivism, which aims to convey space and movement by depicting objects and subjects from multiple angles and viewpoints. 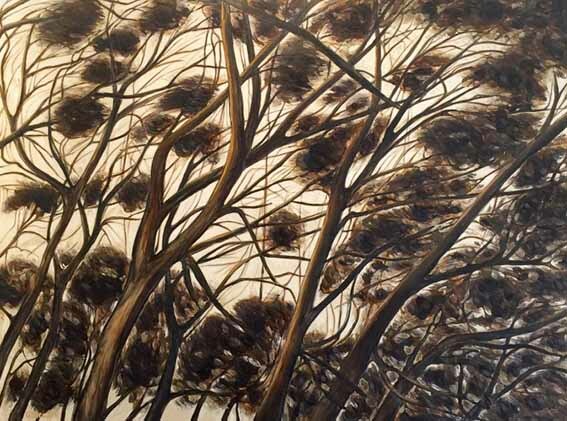 He has held numerous solo exhibitions in Drouin, Warragul, Neerim, Tonimbuk, and Melbourne, and his paintings have been included in curated exhibitions at the West Gippsland Arts Centre, Gippsland Art Gallery, and the Federation Square. He won the 2014 Mt Baw Baw Arts Prize, and was a finalist in the John Leslie Art Prize and the Flanagan Art Prize. 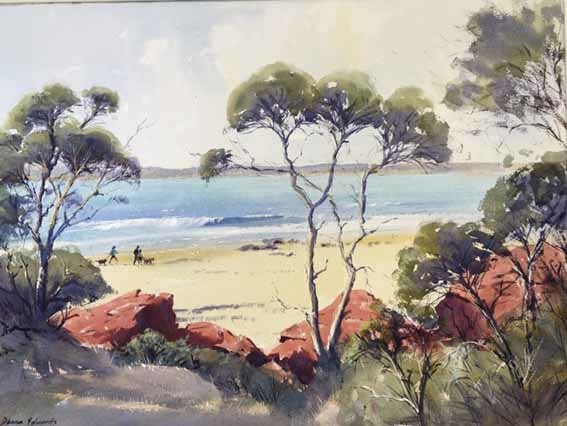 His paintings have been acquired by the Shire of Baw Baw, and numerous Australian and international private and corporate collections. Playing with Waves runs until February 27. Quadrant Gallery in Hawthorn is open from 10am-4pm Tuesdays to Saturdays. ​What’s wrong with this picture? January 30, 2016 - In Susan Hall, Liane Arno meets an artist determined to do her bit for the environment.